One of the best things you can do in Antalya is having fun in a water park. If you want to spend a nice time with your family or alone, you will surely go to a water park. Aqualand is in BeachPark and it is Turkey's largest water park. 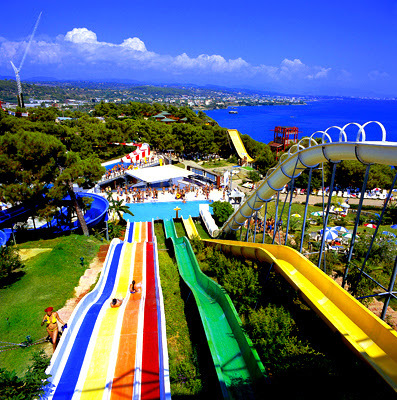 There are both open and closed slides from 40 meters to 100 meters in length. Aqualand have been in service since 1996. 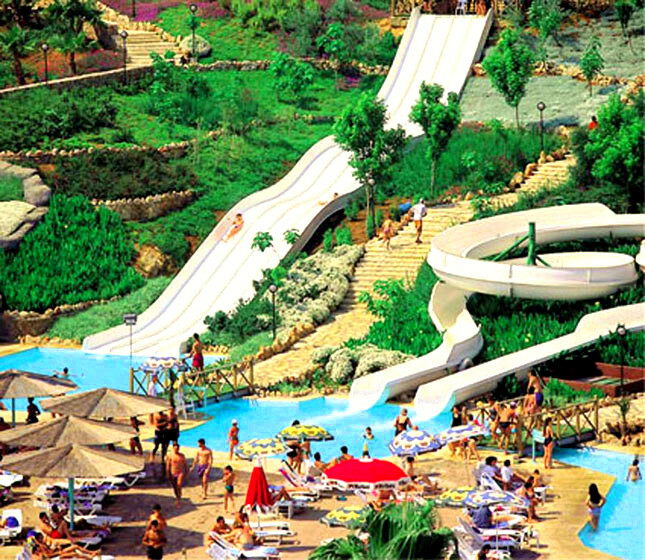 Aquaworld Kemer with a capacity of 750 people, and on an area of ​​6000 sq. Aquaworld have been in service since 1997. 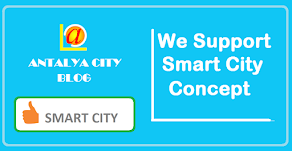 You will see Black Hole, Crazy River, Kamikaze, Free-fall, Twister, Open water slide, kid's club, swimming pool and more and more fun in Aquaworld. You are met at the domed reception area of Priam's Tower and you reach the dressing rooms trough a colonnade. As you come out of the dressing area you are at the tower cannons standing 20m above the park and you are ready to start the fun from one the two 10m slides called Hera and Zeus.. You will have great fun with dolphins, white whales and seals which are prettier than the other.. You won't want this show to ever end.. And what's more; You can have the chance to swim with these dolphins which are the wonders of nature... Two dolphins, two white whales and two seals-All waiting to meet you at Troy Dolphinarium... Except from Winter, Dolphin shows are held two times everyday at 11:00 and 14:30. In winter, shows are held only one session at 14:30 on Wednesday and Saturday. With 2000 people daily capacity the largest aquapark of Turkish Mediterranean region invites you to fun, action and adventure. 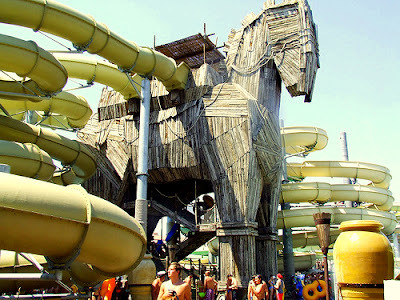 There are no limits for fun at the Mediterranean’s favorite water paradise whether you are young or an adult. You can have adventurous fun with rafting or relax with sea view from the forest or pump your adrenalin with bungee jumping and slides.